I have developed an appreciation for the elegantly simple Ming style furniture. This affection began when Sally and I visited a gallery in Hong Kong 10 years ago and serendipitously saw a large collection of antique Ming furniture of huanghuali wood. Since important specimens of such furniture can fetch hundreds of thousand US dollars apiece at auctions, this private collection on display was worth millions. There were chairs, benches, altar tables, cabinets, day beds, screens and stools. The quiet dignity, understated elegance, perfect proportions and timeless design of the Ming furniture struck us like cupid’s arrows. The furniture were graced with small engravings or subtle decorative elements. The golden honey color of the beautifully grained hardwood stood against bare white walls and needed no embellishment. Although these furniture were used in China during the Ming Dynasty (1368-1644), they would fit comfortably into most contemporary homes today. 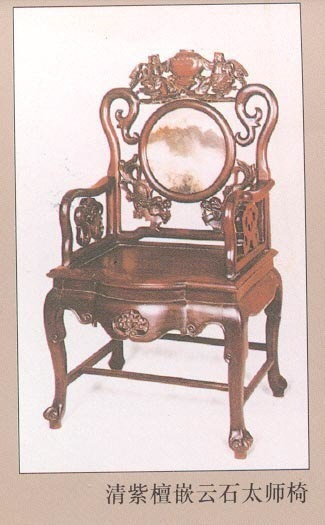 The style of these Ming furniture reflects the philosophical sensibility of the cultured Confucian scholar-officials. A cornerstone of this design is the use of structural members as decorative statements. This minimalist style differs drastically from the aggressively sculptured and lavishly decorated design of the Qing (pronounced Ching) Dynasty (1644-1912) furniture. The Qing design was influenced by the European Baroque style and was favored by China’s merchants. In addition to fine aesthetics, Ming furniture excelled in their intricate joinery. Classical Chinese furniture did not use any nails. They can be taken apart for storage and reassembled like jigsaw puzzles. Hundreds of different joinery techniques were available to the master craftsmen and Chinese joinery is an art form in itself. 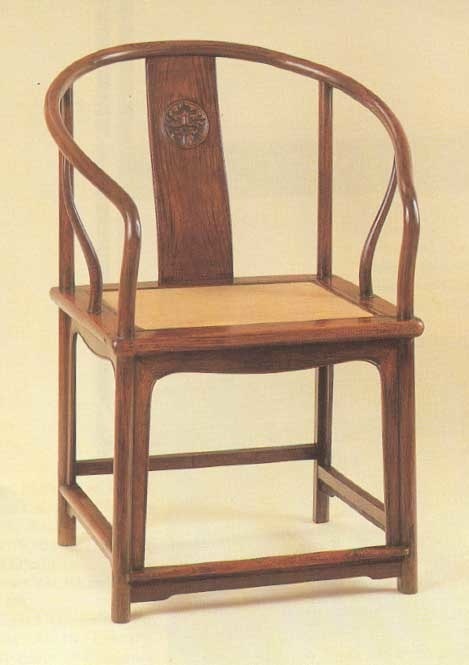 While antique Ming furniture of rare hardwood such as huanghuali (sometimes translated as yellow rosewood) and zitan (purple sandal) are beyond the reach of most people, old Ming style furniture of less expensive elm wood became popular in recent years. More affordable reproductions of new rosewood can be bought in Hong Kong and Taiwan. One caution though: these furniture may not be very comfortable to lounge on and would better serve as decorative accent pieces. Posted by Robert Wu on Saturday, February 10, 2001, at 7:41 am. Filed under Uncategorized. Follow any responses to this post with its comments RSS feed. You can post a comment, but trackbacks are closed.